With all of the wonderful Farm Table food delivered to your door each week comes the need for a little meal planning to make the most of your produce. 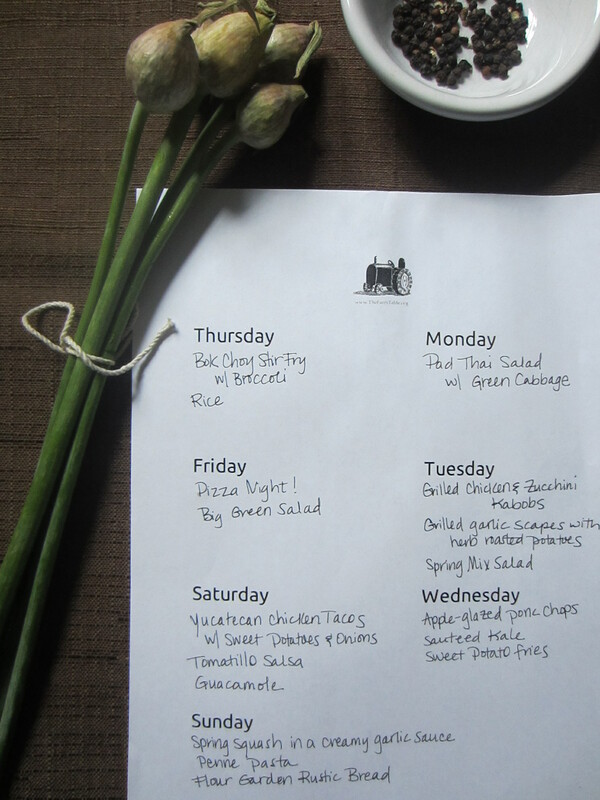 To that end, we thought a meal planning template might be useful for you. Just print and plan your menu out for the week. It is flashback Friday on the blog today, and we are featuring a recipe in our May newsletter from the 2011 Farm Table season. With yellow spring squash appearing in our boxes, this dish is the perfect compliment to any dinner as a side, or serve over penne pasta as your main course. Easy and delicious – this is a quick, no-brainer recipe that will continue to make an appearance in your meal rotation once you’ve tried it. While waiting, in another pan, melt 2 Tbs butter. Add diced onion and cook until it just starts to brown. Once the squash as softened, remove 1/2 and place in bowl. Smash remaining squash in pan with a fork or potato masher until it resembles a course relish. Slowly pour the cream into the pan of mashed squash and mix thoroughly. Add the onion, kosher salt to taste, and remaining squash that was set aside. Serve with chopped parsley sprinkled over the top. 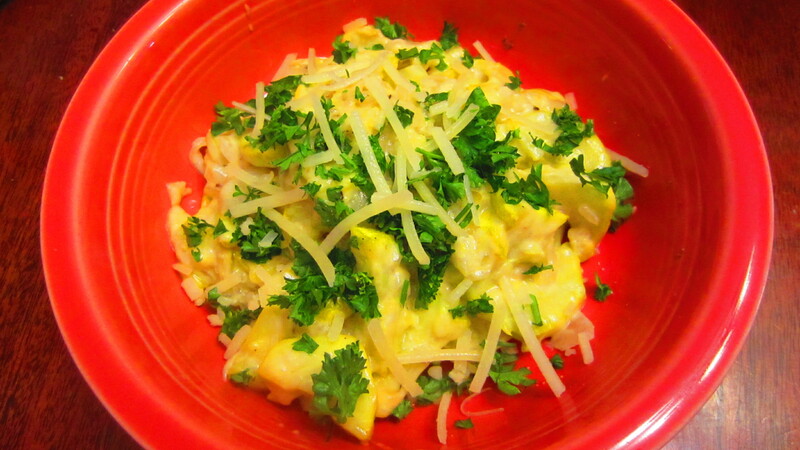 A small amount of grated Parmesan cheese sprinkled along with the parsley goes well with this dish. 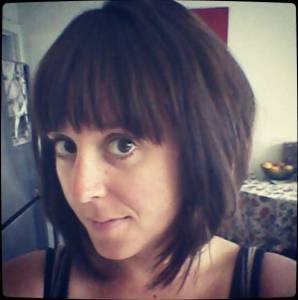 Might we also suggest a recipe published on our blog last summer, care of Tim Vidra, local Richmond blogger over at E.A.T. He shared a delicious Summer Squash Tart using yellow squash, zuchinni, and dill (you can use up any leftover from your box last week). When I finished college, I quickly loaded up my books, hauled them to our nearest used bookstore, and traded them in for this gem of a cookbook, determined to learn a few key recipes that we could share with others. 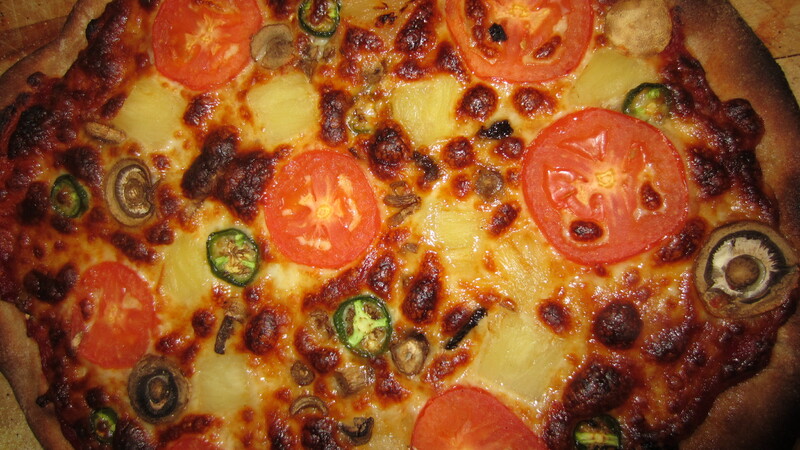 My husband and I found several recipes that we loved, but learned quickly that not everyone enjoyed spicy food as much as us — namely our children. 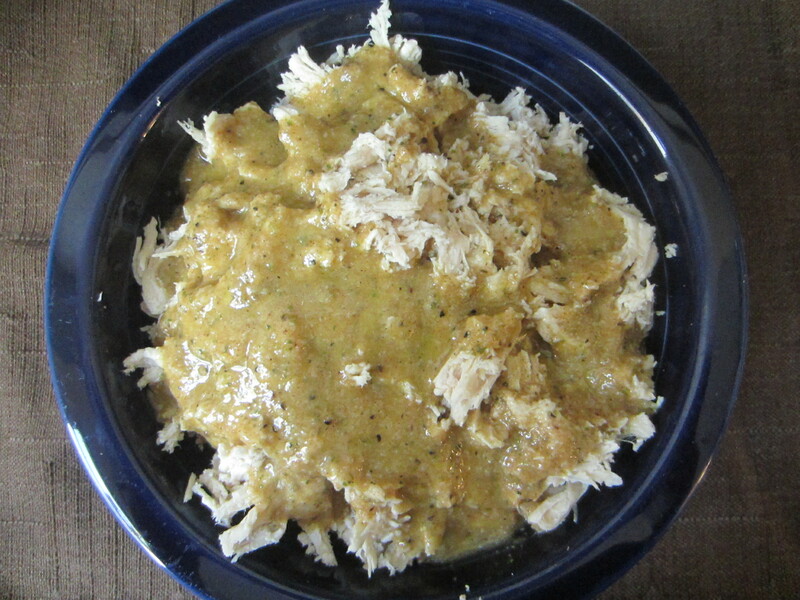 I recently mastered a garlic-spice marinade that we have grilled with, and love it for marinating shredded chicken for our tacos. Experimenting one night, I decided to try it with onions and sweet potatoes, hoping to add a little more filling to our chicken tacos. I know it sounds odd, but the combination of flavors has soon become a family favorite, and one that my children eat happily. The inclusion of apple cider vinegar, paired with garlic, cinnamon, cloves, and the sweetness of the potatoes, is the perfect combination of flavors. I have been working on this recipe for the 2013 Farm Table season, and was thrilled to see the addition of sweet potatoes in our first box! 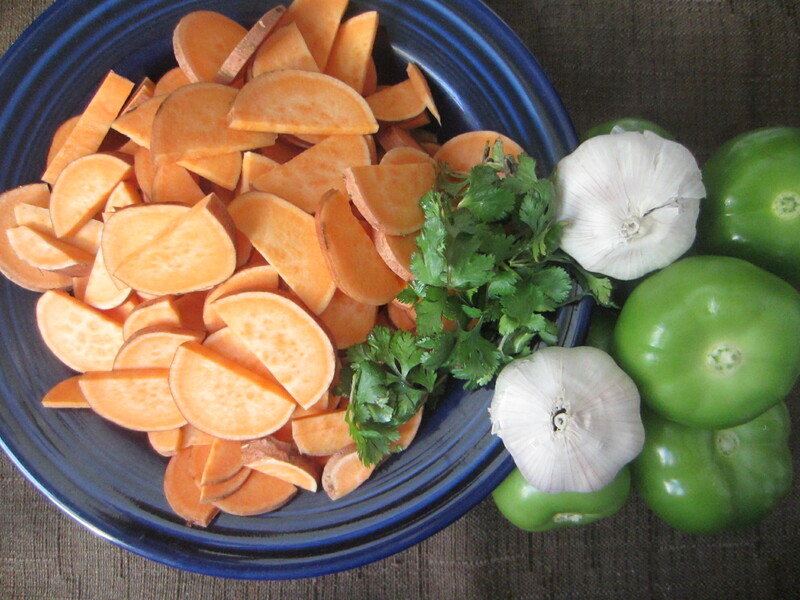 Please try this kid-friendly, healthy alternative that you can use to fill tacos, burritos, or to top a tostada with. You can click HERE for the full recipe to print off. 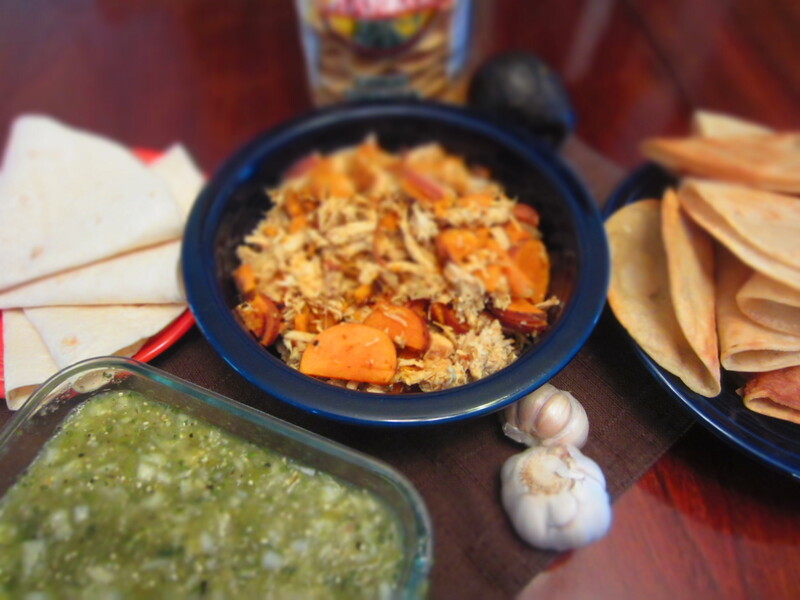 Recipe inspired from Chef Rick Bayless, Mexican Everyday. Serves 4-6 people. 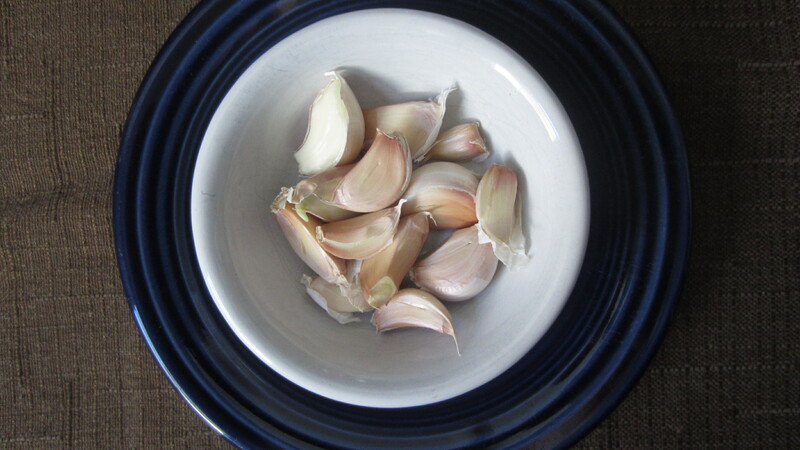 You will need 1 head of garlic, broken into individual cloves (10-12 cloves). Cut a slit into each side of the clove, place in a microwave safe bowl covered with plastic wrap, and microwave for a good 30 seconds. While the garlic cloves cool, measure out 1/3 cup olive oil, 6 Tbs apple cider vinegar, 1/2 tsp ground black pepper, 1/2 tsp cinnamon, 1 tsp dried oregano, 1/4-1/2 tsp sugar, a dash of ground cloves, and salt to taste. After you’ve slipped the cloves out of their paper husk, throw everything into your food processor and blend until smooth. Pour the marinade over already cooked/cooled, shredded chicken (2-3 boneless, skinless, chicken breasts), and either set aside, or allow it to marinade in a zip-top bag overnight in the fridge. While the marinade works its magic on the shredded chicken, grab 2 sweet potatoes, slice lengthwise, and dice into 1/4-inch thick pieces. Slice 1 small onion (white or yellow) lengthwise, into strips. Heat 1 Tbs olive oil in a skillet on medium-high, add the sweet potatoes, onions, and 1 tsp oregano, stirring to make sure they are evenly coated with the olive oil. Add more if you need to, but be sure not to add too much — you don’t want a greasy mess. Allow the sweet potatoes to caramelize and cover the skillet to help soften the potatoes (about 10-12 minutes), stirring often to prevent from burning. Once the sweet potatoes have softened and have browned, add the marinated chicken to the skillet. I suggest adding a little water to deglaze the pan, about 1/8-1/4 cup. The water should burn off. Once the chicken has heated through, place in a serving dish and offer it with an assortment of soft or hard tacos, tortillas for burritos, or to place over a tostada with black beans. Add your favorite toppings — avocados/guacamole, diced radishes, Monteray jack cheese, and hot sauce are among our favorites. I highly recommend serving the chicken and sweet potatoes with this Tomatillo Salsa (you can omit the jalapeño if you are not a fan of heat. Do yourself a favor by doubling the recipe!). To cut down on your time in the kitchen you can purchase store-bought tomatillo salsa, but it is really easy to make the night before. 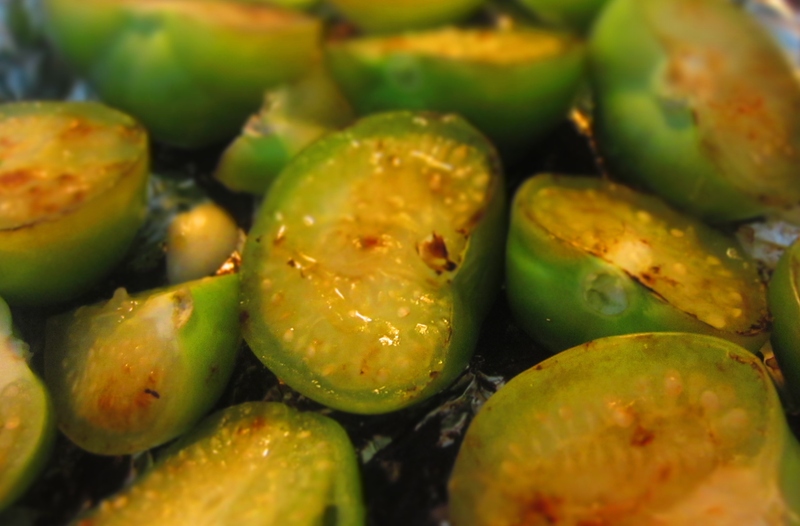 If you do make it at home, be sure to roast your tomatillos. 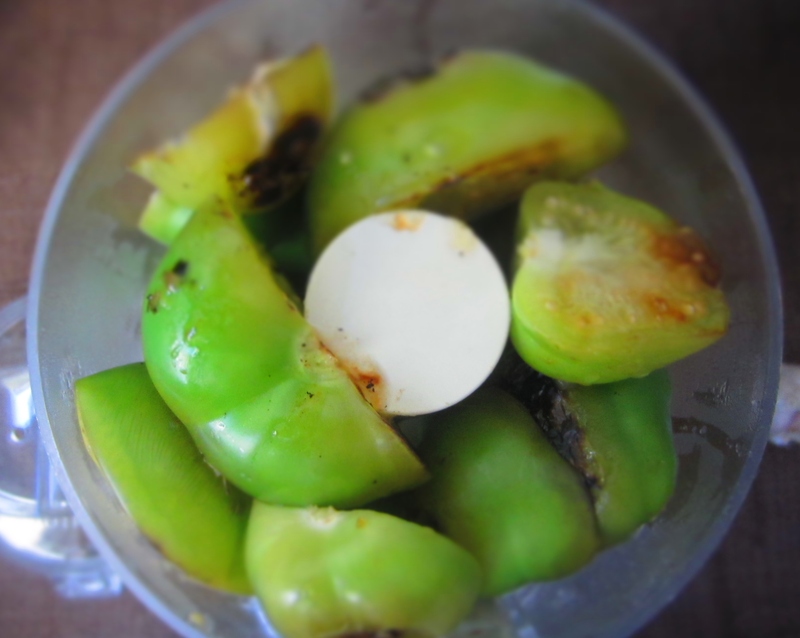 Cut them in half, line a skillet with aluminum foil and place tomatillos cut side down on med-high heat. After a few minutes, flip them over and cook until they are blotchy, turning black, and starting to soften. Use your own recipe, or follow this simple and delicious recipe HERE, although I skip adding the water, preferring a chunkier salsa to go with this meal. Trust me, you want to eat this! You set your clocks one hour ahead. You’ve changed the battery in your fire alarm. With the sun shining this weekend, you realize all that stuff you thought was clean, isn’t. Time to plan a little kitchen spring cleaning, and to prepare for the 2013 Farm Table season. We’ve made it easy on you with these handy checklists you can print off. Pick a day, before our (tentatively) scheduled begin date, April 4th, and get yourself ready for a season of delicious, healthy, and local food. Stay tuned for more details on our Farm Table membership event on March 21st. As promised, I tried out one of Terry Hope Romero’s recipes from Vegan Eats World as part of The Farm Table’s cook book review and blog give away. This dish was a wonderful addition to our Thanksgiving meal last week, and topped our mashed potatoes, which we usually don with butter or gravy. What a fancy and welcome upgrade! Trim away most of the green stalks on the leeks, leaving about an inch near the white part. 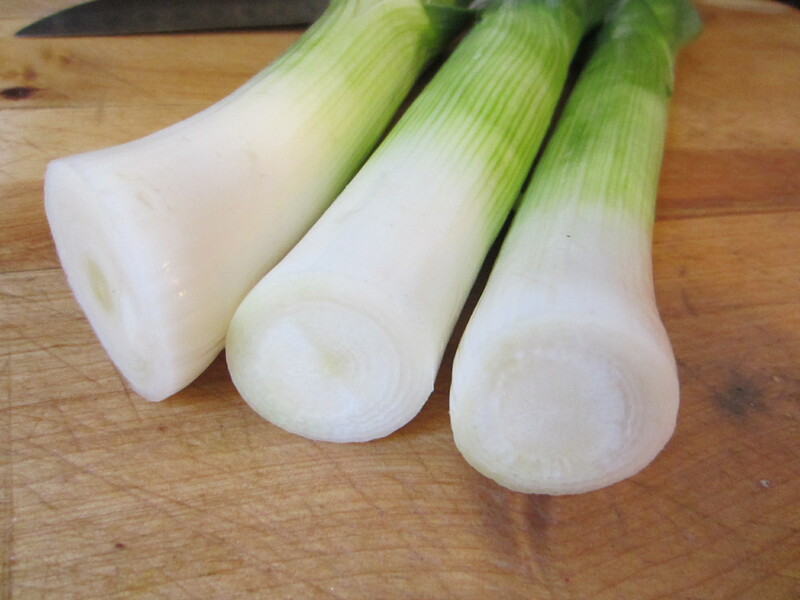 Slice away the tip of root end, and slice each leek in half lengthwise. Firmly hold the leek so that it doesn’t fall apart, and rinse under cool running water to remove any grit or dirt. Place leeks on a cutting board and slice each piece into sections about 2 1/2 inches long — hold the pieces together to prevent the leaves from separating too much. 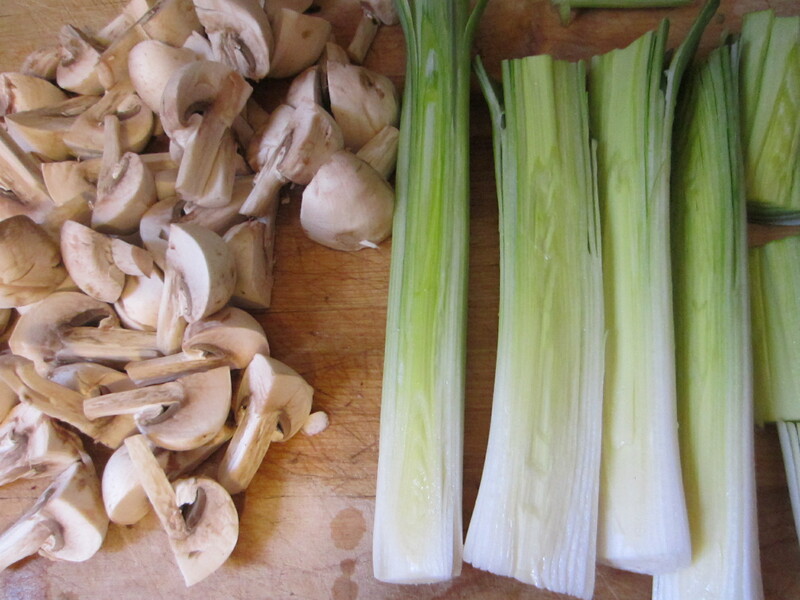 If the leeks fall apart while cooking, don’t worry, but for the prettiest presentation try to keep them together. 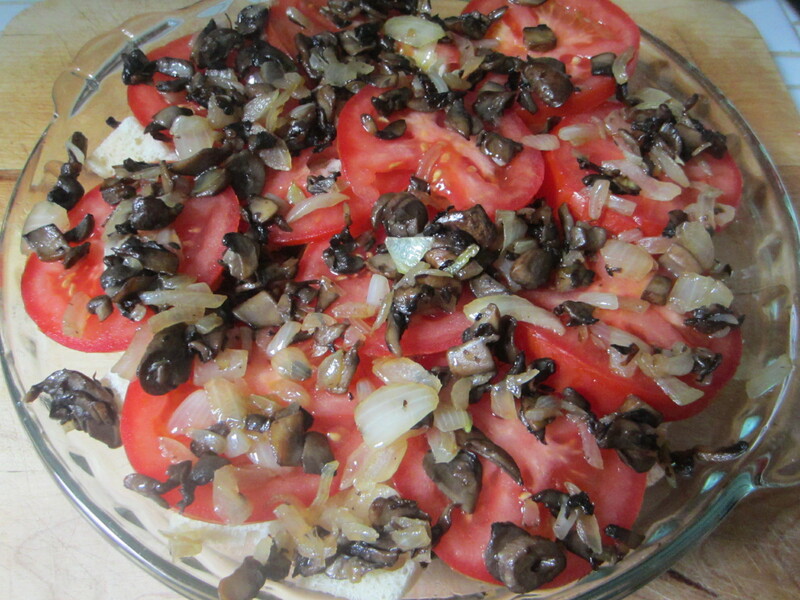 Slice the mushrooms into quarters. Over medium-high heat, sear the mushrooms in 1 Tbs of olive oil. 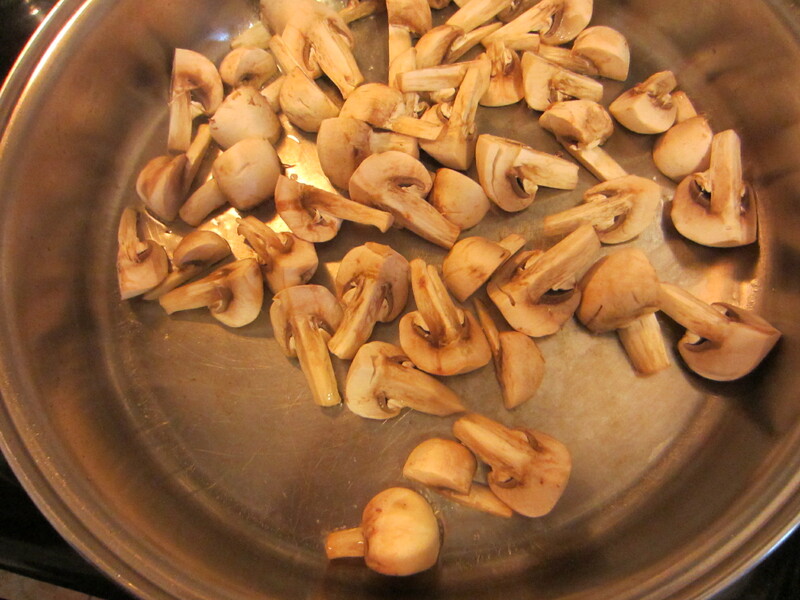 Fry the mushrooms, stirring occasionally, until both sides are browned and mushrooms look juicy (about 4 minutes). Remove from the pan and transfer to an over-proof dish. Sprinkle the mushrooms with a pinch of sea salt, cover with foil, and put in an oven set at 250 degrees to keep warm. 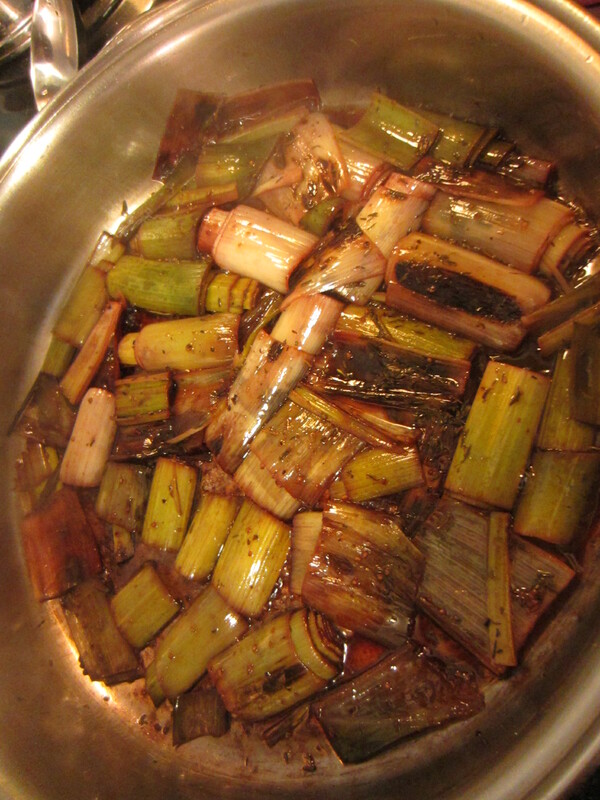 Heat the remaining olive oil and place the leeks cut side down in the oil. Brown the leeks for 2 to 3 minutes, carefully lifting them up to check and see if the undersides are seared and the edges of the leaves are browned. 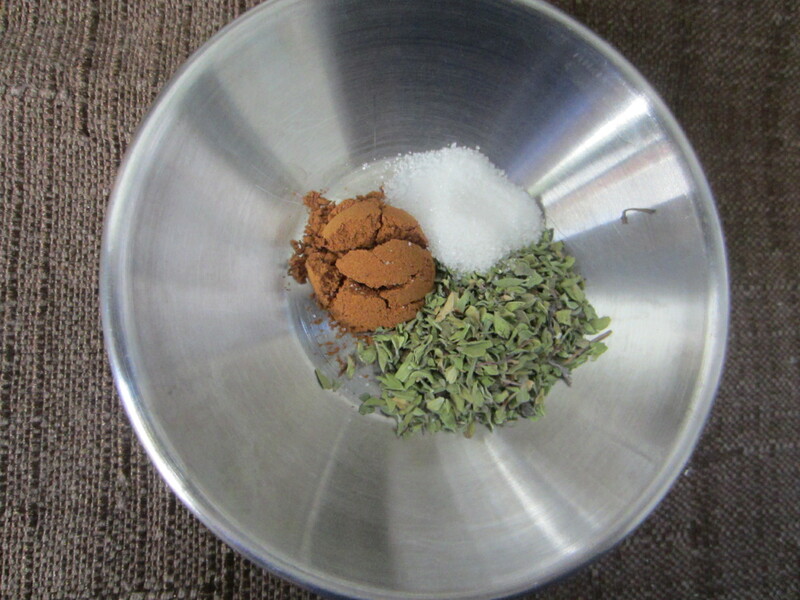 Pour the wine, sprinkle with marjoram and salt, and tuck the thyme sprigs into the wine. Increase the heat and bring the wine to an active simmer and cover the pan. Reduce the heat to low and simmer for 10 minutes. If serving on top of white bean puree, potatoes, or pasta, mound the individual servings (about 1 cup) of hot puree in serving dishes. Divide the mushrooms on top of the servings of puree. 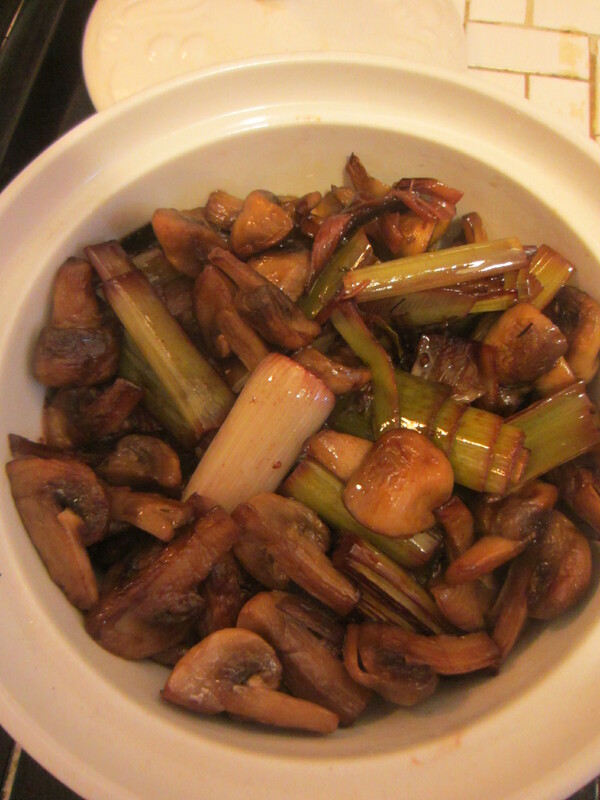 Uncover the pan and using tongs, carefully lift the leeks and arrange on top of mushrooms. Increase the heat to medium-high and bring the juices in the pan to a rapid simmer for 2 minutes, stirring occasionally. Reduce the heat to low and swirl the margarine into the juices. Use a wire whisk to continuously stir the sauce until smooth and lightly thickened. 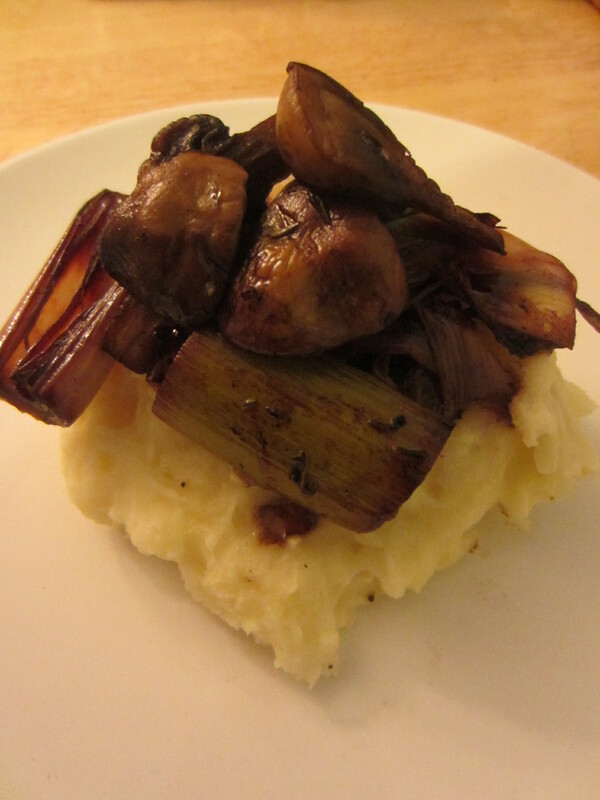 Drizzle a little bit of the sauce over each serving of leeks and mushrooms and serve immediately. 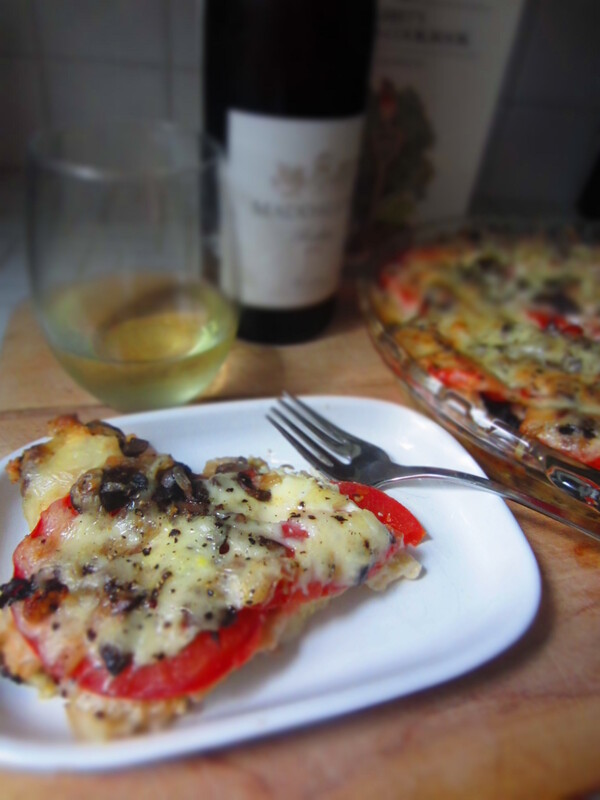 This dish was easy to make, delicious, and we were able to used left-over wine that was just a tad past its prime — perfect for this recipe. I encourage you to consider making it for your next holiday meal, or even better, add it to your meal plan this week. With Country Fresh Cremini Mushrooms coming in your Farm Table Garden Box this week, there is no reason not to. I have been very pleased with the recipes I’ve tried from Vegan Eats World and Viva Vegan! over the past few weeks, and would like to thank Terry Hope Romero and Da Capo Press for allowing me to give vegan cuisine a try. I will definitely add recipes from both books to our meal rotation. 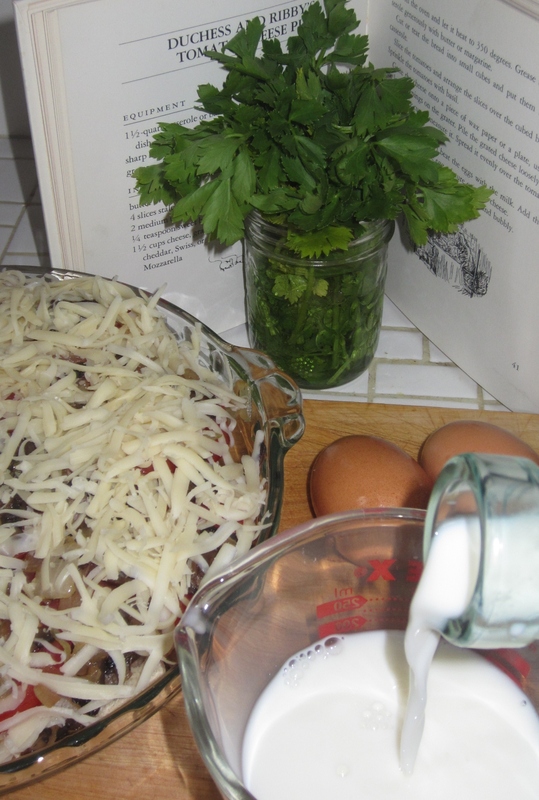 If you want to try out vegan cooking yourself, you have until 9:00pm EST tonight (11/28/12) to enter our blog give away. Details are HERE. 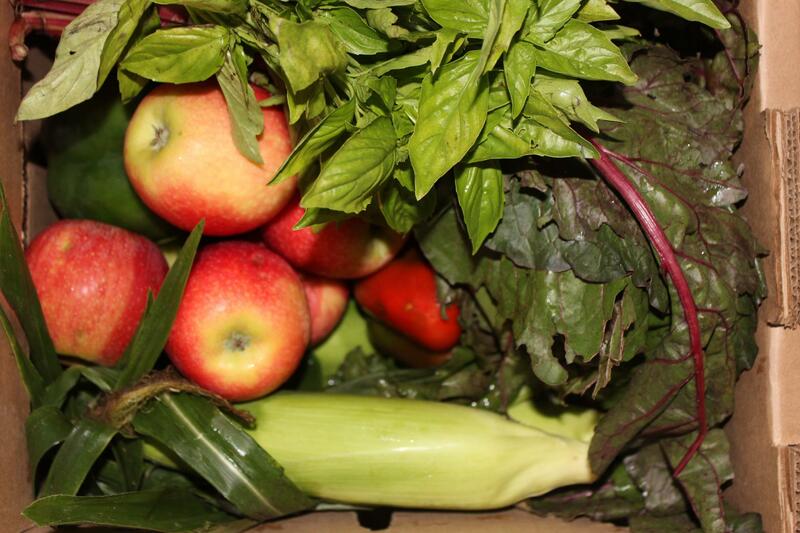 You’ve received your weekly Farm Table box. You’ve written your weekly meal plan. 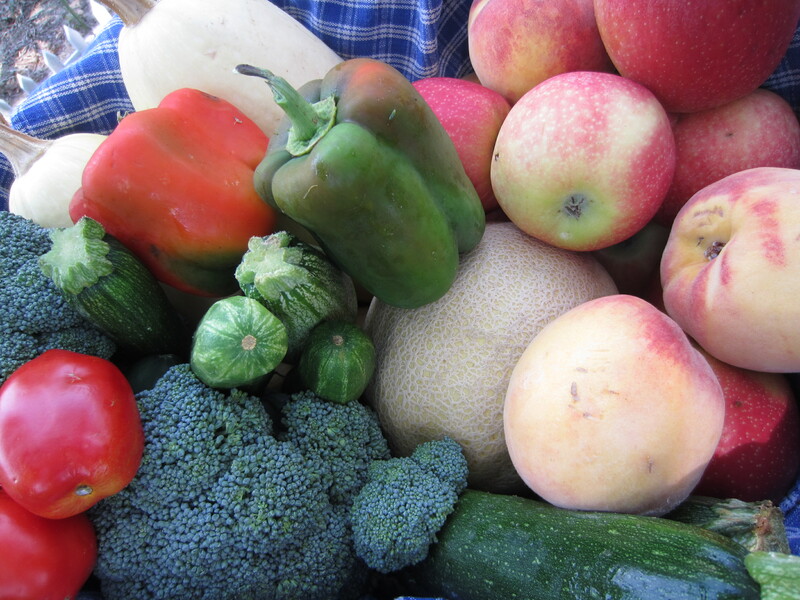 You’ve washed, sorted, and properly stored your produce . 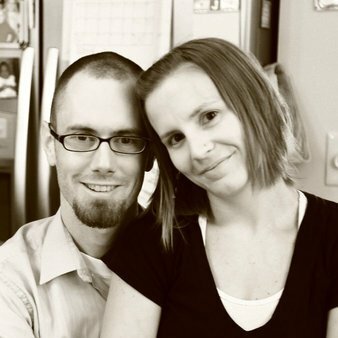 Now it’s time to actually prepare dinner and you find that adults and kids alike are running on empty. Everyone is a tad cranky, the kids are bouncing off of the walls, and you are gritting your teeth trying to get something that resembles a meal on the table for your family to enjoy and not lose your mind. We think getting children involved in the meal and table preparation is a great way to teach them new skills, foster independence and confidence, and create lasting memories for everyone. We also know that sometimes that task is unrealistic, especially with more complicated meals, and those nights when you are short on patience and time. Check out these 14 fun printables that you can print now, prep, and pull out when you need the extra help — that’s 2 weeks worth of extra help! 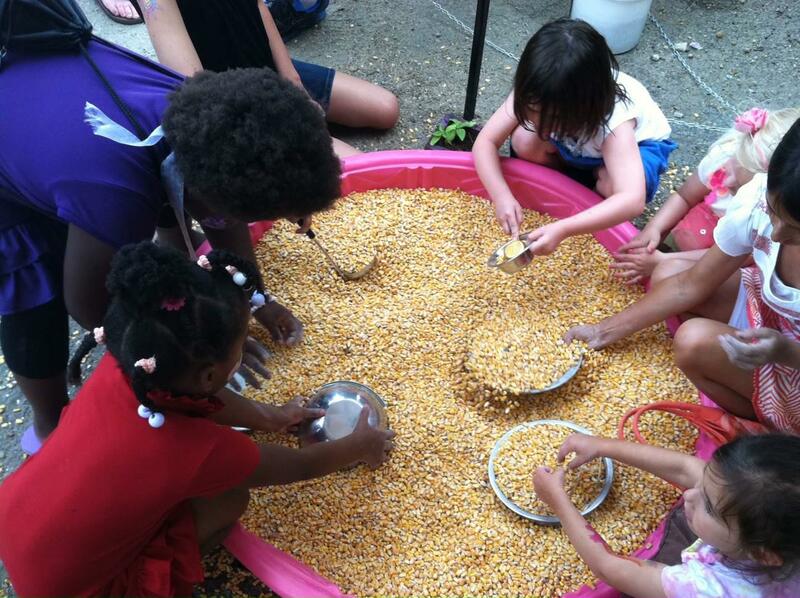 They are fun, seasonal, and educational. You’re welcome! We still think they should help set the table though! You can make an appetizer plate to stave off hunger with sliced fruit, veggies, and dip. Don’t worry about it spoiling dinner. Who cares as long as you are eating fruits and vegetables! What dinner time tricks do you have up your sleeve? Let me first say that I’m sorry. 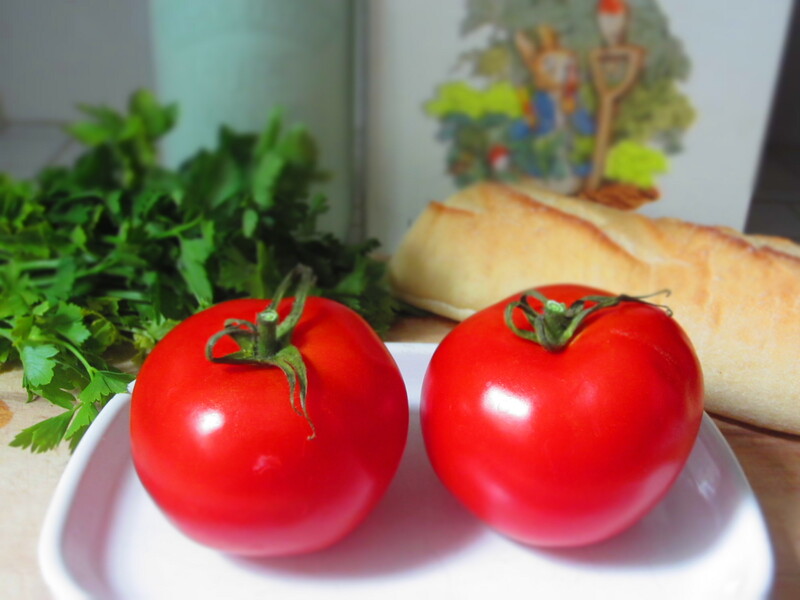 I don’t have any appetizing photos of farm fresh produce, or photos of a just prepared meal to share with you in this post. Nothing visual to make your mouth water, or inspire you to get in the kitchen. 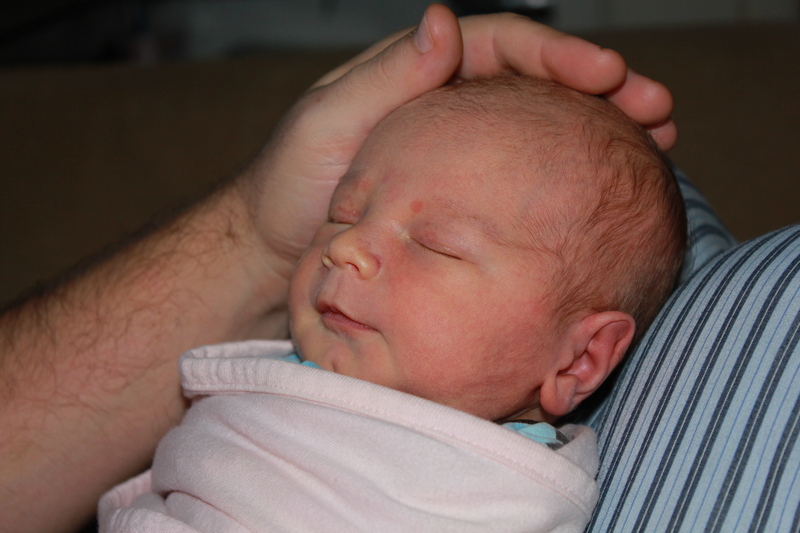 You see, we’ve been taking care of a brand new human being around here. Do you forgive me now? What I have to share in the way of food is a hearty chowder recipe that my husband and I learned to make from The Northwest Best Places Cook Book when we lived in our home state of Oregon. The addition of Tillamook Cheese is what makes this a truly Northwestern Chowder, but you can pick out a local cheese of your liking to make this chowder as “local” as possible. Just make sure it is a sharp cheddar cheese. It goes really well with The Flour Garden Bakery Rustic Bread. A cozy meal for a cozy night at home — especially while holding a cozy newborn baby. Combine potatoes, water, and cumin in a large pot. Bring the water to boil. Lower the heat to a decent simmer until the potatoes are just tender (about 15 minutes). While the potatoes are cooking, heat butter in a large skillet over medium heat. Add the onions and cook until transparent. 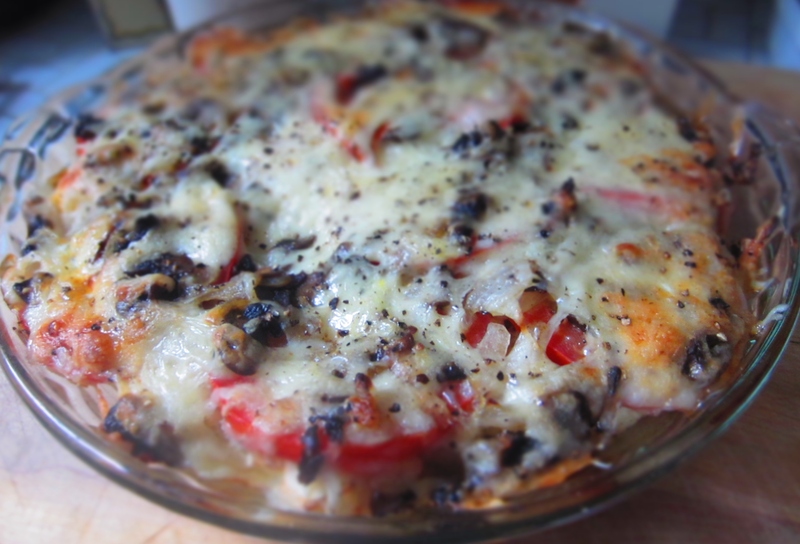 Sprinkle the flour over the onions and continue cooking for a few minutes until well mixed. Add the onions to the potatoes and water, then add the milk, corn, salt and pepper to taste. Simmer the chowder for about 20 minutes, until it thickens, stirring occasionally. Sprinkle some cheese in the bottom of individual soup bowls, then ladle the chowder over the top. Serve with remaining cheese over the top of each bowl, allowing each person to stir their own cheese into the chowder. Serve with a nice loaf of bread. What is your favorite soup to make? Share it with us in the comment section of this post, or on Facebook.